Photograph everything. It's a lesson reinforced again and again when something I shot goes away. 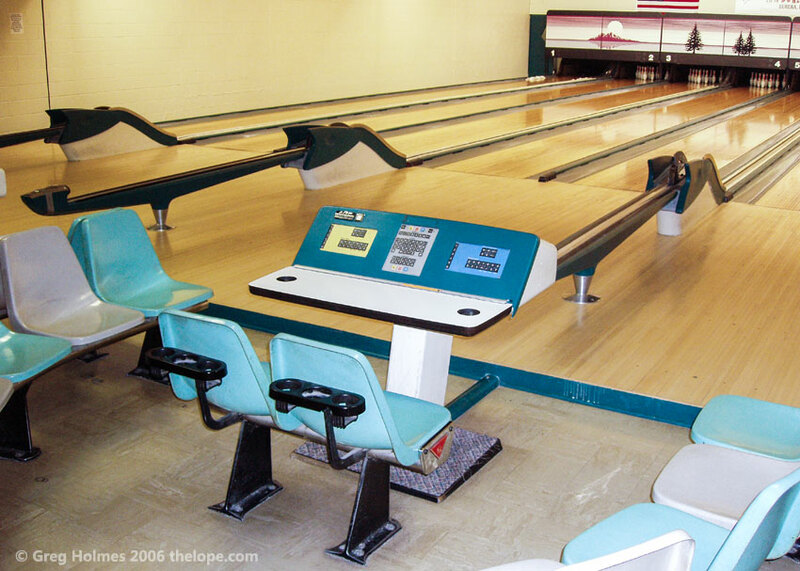 Such is the case with the mid-century bowling alley and restaurant, Cherokee Lanes in Eureka, Kansas, which I shot on February 1, 2006. 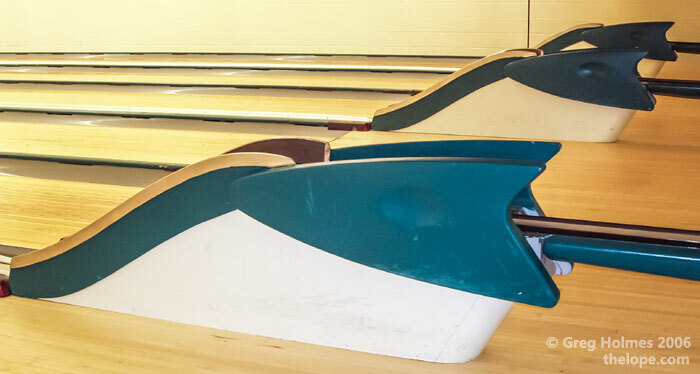 Although the structure remains, the bowling alley was damaged by fire in 2010 and was not replaced. 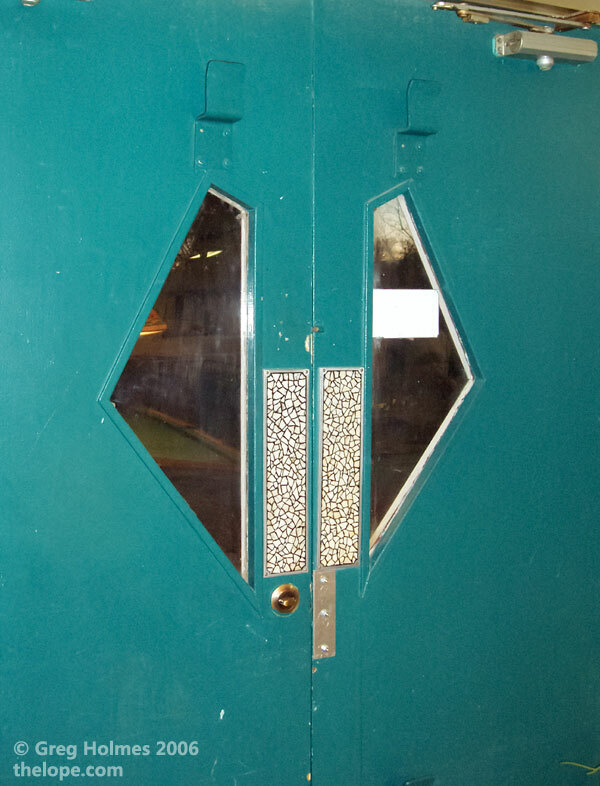 As far as I know, these mid-century interior doors survive as do the exterior door handles. Does this not look like the helm of a sci-fi space ship? Unfortunately, this did not survive. 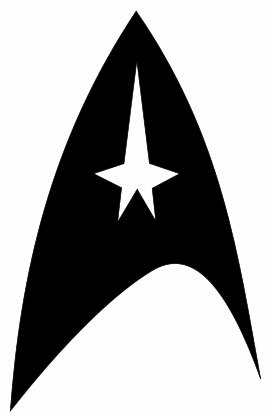 The chevrons of the ball return looked like a sideways Starfleet insignia. 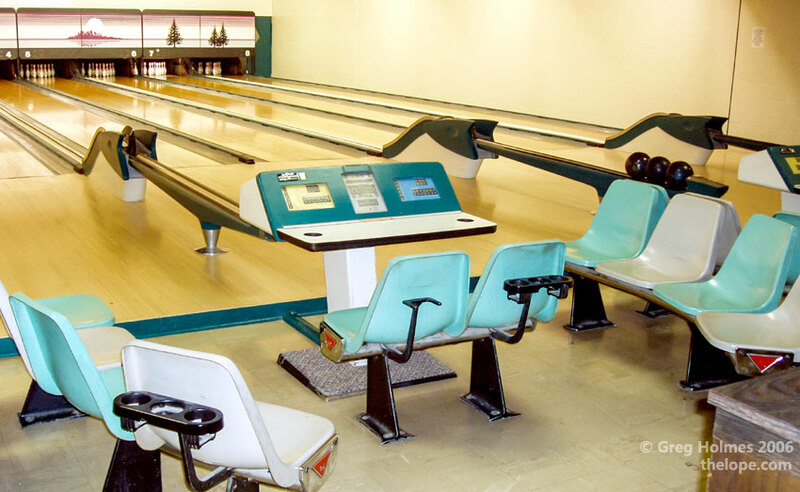 Management told me all the equipment dated from 1959. 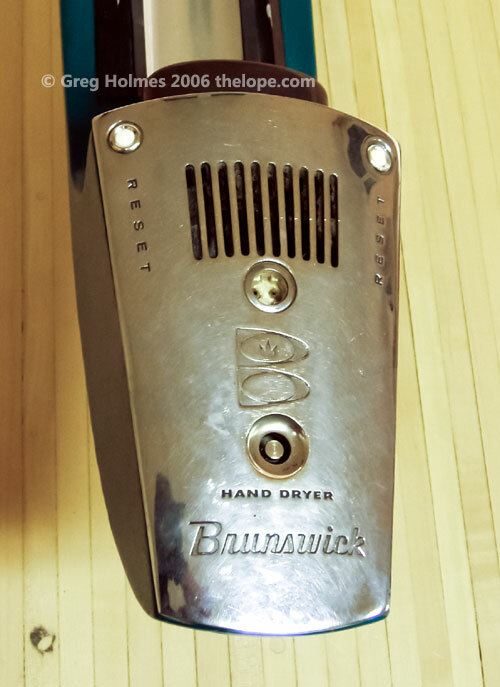 Now, the first appearance of the Star Trek insignia was in late 1964 when "the Cage" was filmed, so could Gene Roddenberry or costume designer William Ware Theiss have been influenced by bowling alley equipment? 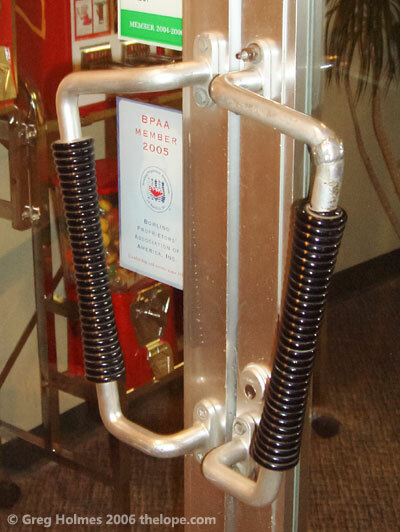 Even the locker doors looked like they belonged on a space station. 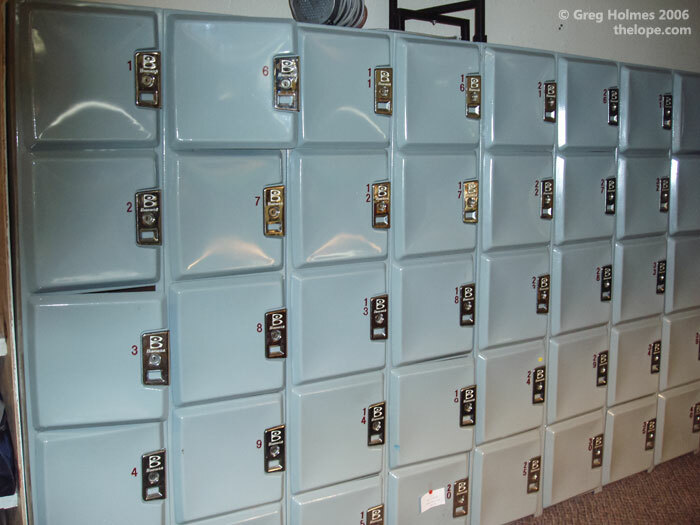 I've seen similar lockers at Starlite Lanes in Lebanon, MO. 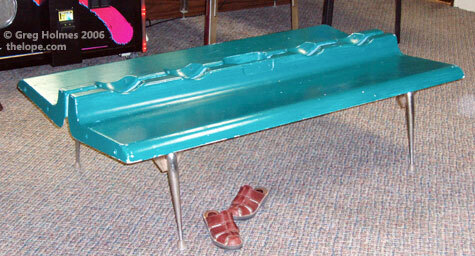 The specialized shoe-changing bench was of the same fiberglass as much of the rest of the décor. In 2006, part of the structure was used as a restaurant. 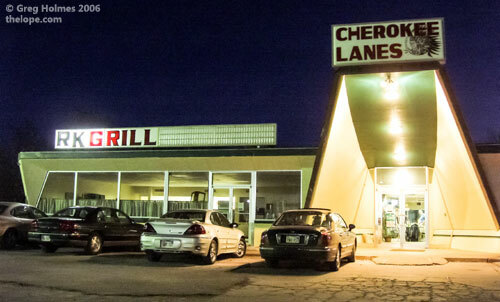 The 2010 fire caused extensive damage to the interior and the present manager tells me the cost to repair it as a bowling alley was too much so the structure now houses only a restaurant. And here's the building on April 25, 2015. All photos on this page except the last one were shot with my 6 megapixel Olympus C-60 Zoom point-and-shoot camera in 2006.